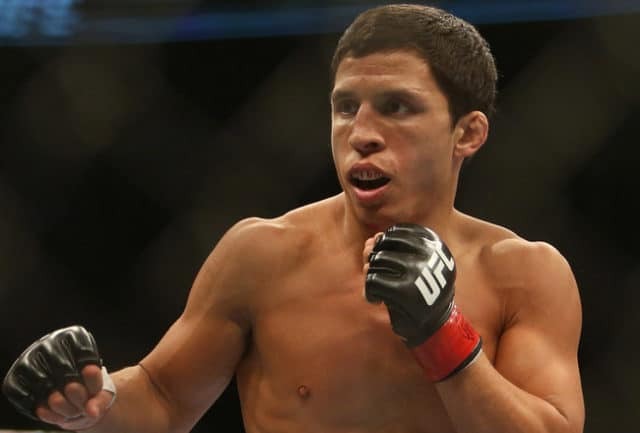 Joseph Benavidez blames Conor McGregor for having his next fight inside of the Octagon under the UFC banner moved back as a result of his actions. 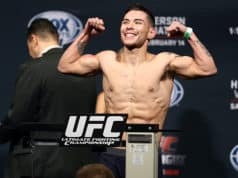 The former UFC flyweight title contender is slated to fight Ray Borg at the upcoming UFC Denver event. Both men come into the contest off losses as Benavidez’s six-fight win streak was ended thanks Sergio Pettis at UFC 225 in June. On the flip side, Pettis bested the former flyweight title challenger via split decision. This fight was originally slated to go down at the UFC 229 pay-per-view event. However, McGregor is slated to headline this show when he meets Khabib Nurmagomedov for the lightweight title. Benavidez stated in a recent interview that the fight was pushed back a month due to the actions of McGregor. 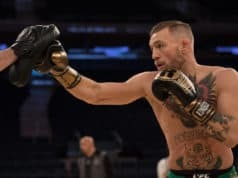 Back in April during fight week of the UFC 223 pay-per-view event, McGregor and several members of his entourage decided to fly from Ireland to Brooklyn, New York to get revenge on Nurmagomedov. This led to McGregor attacking the fighter bus that had Nurmagomedov on and he was arrested as a result. Borg was one of the fighters on that bus and injured because of it. UFC Denver (also known as UFC Fight Night 139) is set to take place on Saturday, November 10, 2018 at Pepsi Center in Denver, Colorado. The main card will air on FOX Sports 1 while the preliminary card will be split broadcasted on FOX Sports 1 and UFC Fight Pass. The card is headlined by a featherweight fight between Frankie Edgar and “The Korean Zombie” Chan Sung Jung.